I know you all want the most moist and delicious banana bread recipe, so buckle up for The Best Sour Cream Banana Bread Recipe ever! I know, you all are started to worry a little bit about Cade and I and this whole banana bread thing, aren’t you. Look, banana bread is so delicious and we just had to make sure that we found a classic recipe for the very best banana bread recipe before we started tackling cool things like how to make banana bread with sour cream. 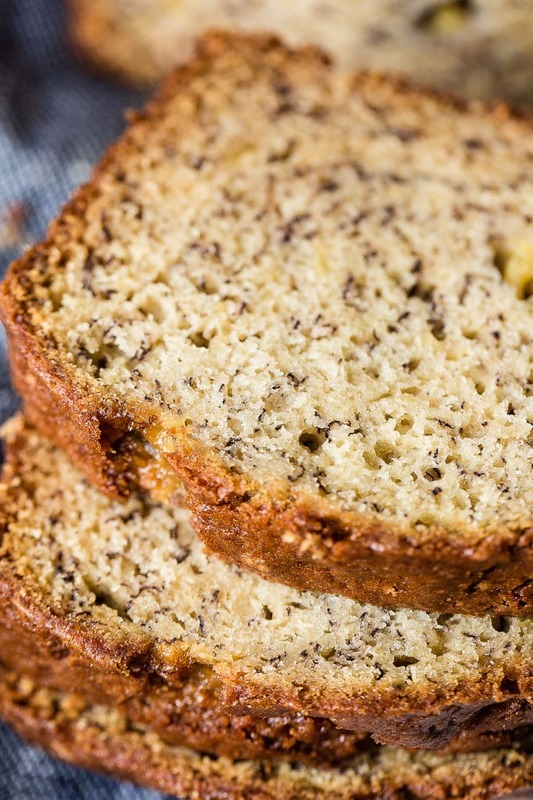 And trust me, this is the best sour cream banana bread you’ll ever had. It’s just that good. And truth be told, it might even trump our chocolate chip banana bread recipe. I found out some pretty devastating news a few weeks ago as I started testing banana bread with sour cream. Which by the way, did not take years to figure out. 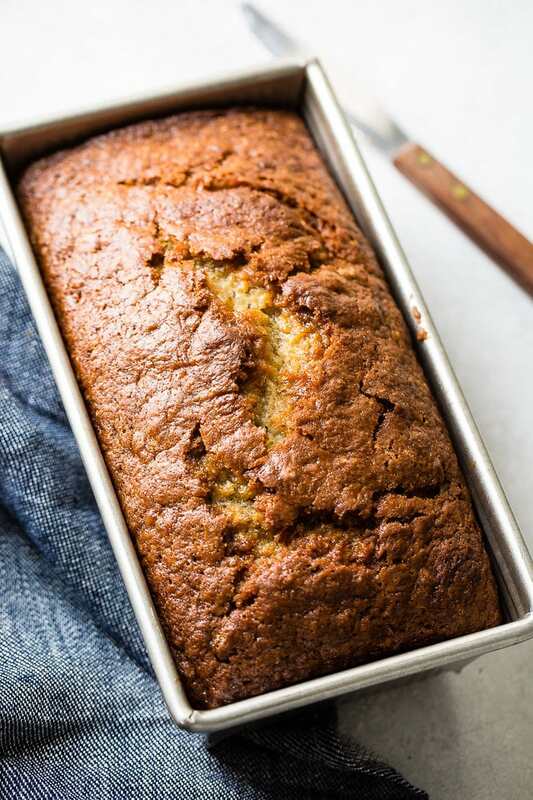 In fact, it was pretty easy to just adjust our classic banana bread recipe into the best sour cream banana bread recipe because the original was just so darn good. We did a poll on our ohsweetbasil instagram channel, fully expecting it to be in our favor, pro chocolate chip banana bread and we were totally shocked to find out that the majority of you prefer your banana bread WITHOUT chocolate chips. Cade and I are still deciding if we can be friends with our readers after such a discovery. 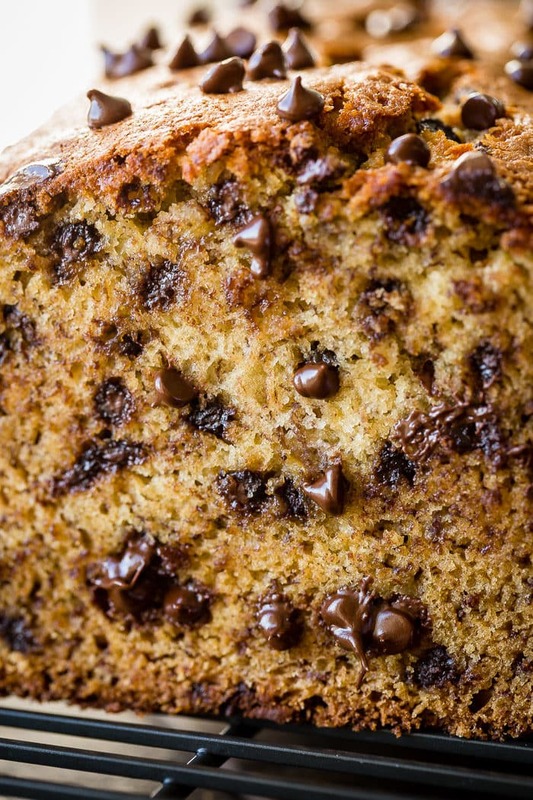 Chocolate chips should ALWAYS be in banana bread. Actually, that’s not true. Cade and I loved the best sour cream banana bread recipe so much we literally didn’t miss the chocolate chips. And you’re welcome for skipping them in this recipe for all of you. The secret to making a perfect banana bread with sour cream is to let the eggs and sour cream sit out while you prepare everything else. That will help the ingredients come to room temperature and they will combine perfectly. The other secrets, well make sure you read our post on The Very Best Banana Bread Recipe as you’ll want to follow everything to a T! If you don’t have canola oil just substitute vegetable oil. If you don’t have either of those you can use, shortening, butter or coconut oil but the results will not be the same. What Makes Banana Bread Moist? 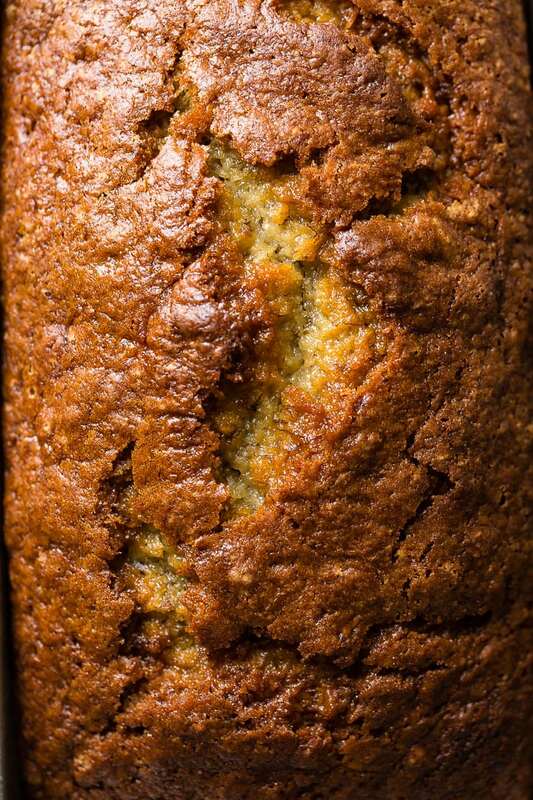 Those deliciously over ripe bananas make banana bread moist, but the sour cream, without adding extra liquid really takes things to the next level. Bananas make banana bread moist, as well as how you fold in the ingredients but it’s sour cream that makes banana bread moist more than anything else. What Other Kinds of Banana Bread Can You Make? Well we are just so happy you asked. We have many to choose from. Set out the eggs and sour cream. In another bowl, whisk together the oil and sugar. Add in the eggs and sour cream and whisk again, but be sure to not over mix. Have you used two smaller pan with success? Yes, it works jut great! You will want to reduce the baking time of course. Start with 30 minutes and test it for done-ness. This truely is the best banana bread recipe! It’s the only one I use. I did omit the chocolat chips. 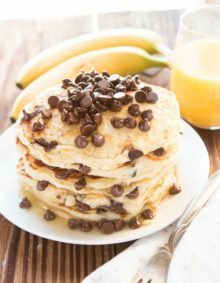 I had to leave out the chocolate chips and cut the sugar in half because of health issues but it was still plenty good! Will definitely make again. Love to hear that! Thank you Jenna! 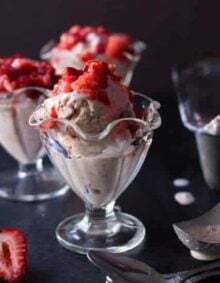 I have made this recipe twice and my family lives it. 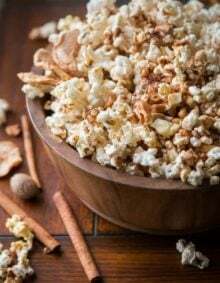 I substituted walnuts for chocolate chips, added a teaspoon of vanilla extract, and a few shakes of cinnamon and clear decorating sugar on top. Delicious and very most! Yum! I love your version! Thank you for taking time to leave a comment! I will be making The Best Sour Cream Banana Bread….. I too would have to vote no chocolate chips…. However, my real comment is this…..Thank You so much for giving the cup measurement of the mashed bananas you use. Even though you mentioned 2 very large bananas or 3 small, having the exact measurement is so important and helpful. Carla, So glad you mentioned that. We were so tired of recipes that listed the number of bananas instead of a measurement as bananas vary in size. Glad you agree it’s needed! I love your website and I realize you have to make a living, however, your ads pop up all over the place and sometimes it’s impossible to read your posts. Very frustrating. Looks good, I will try this soon! 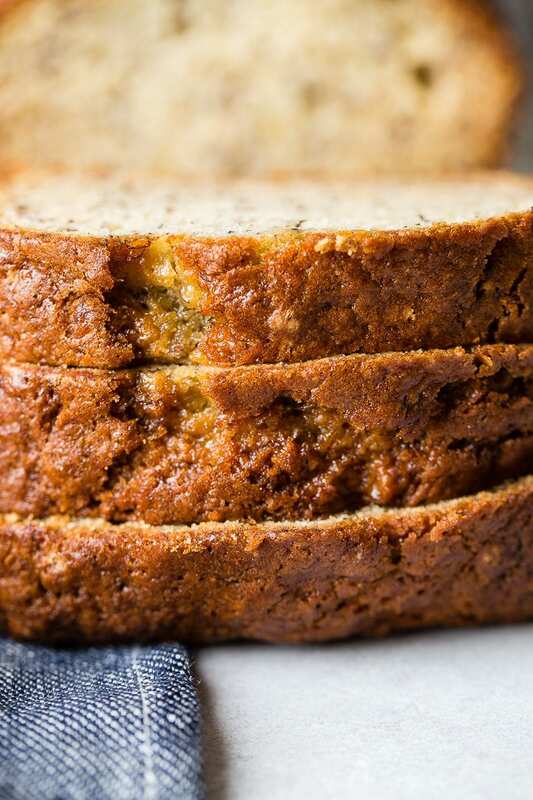 Curious if you have ever tried Dominque Ansel’s Banana Bread recipe? That one is my fave, though I still love to try other recipes out. I usually use part olive oil and part butter rather than full butter for that recipe. It is by no means healthy, just rich and yummy 🙂 I have even made it successfully dairy and gluten-free and get requests for it. I am on the hunt for one that is equally tasty but a little less dessert-like. I haven’t. Do you have the recipe to share? Sure! I’m a cinnamon lover so I add a few shakes. I’ve got bananas almost ripe so we can try this!